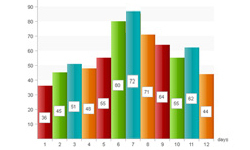 It was a very eventful month in the search engine marketing world in July 2009. This particular month will be remembered as a month laden with a great deal of innovation to the online marketing world and ground breaking partnership. In perhaps one of the biggest announcements of the decade in terms of search engine market share impact, Microsoft and Yahoo! announced a ground breaking 10 year partnership agreement. In the agreement Yahoo! has essentially thrown in the towel on developing their own Paid and Organic search engine and will instead use both Microsoft AdCenter and the new Bing search. To learn more about how current market share patterns are make sure to read the July 2009 Market Share article launched just a few days ago. Google announced that it will be launching their own operating system in late 2010 on simple Netbooks. We would expect this would be only a starting point and it won’t be too long before Google begins threatening Microsoft for market share in the OS business too! Why? Google typically does things right. 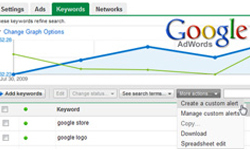 Speaking of Google, they officially launched their new Adwords interface in July. Matt Hogan was not supportive of the decision to make the new Adwords interface live given many of the bugs in existence but over the course of the month they have quickly rolled out some fantastic usability improvements that we like. Jon wrote his initial monthly Analytics column for those interested in learning about our Google Analytics tip of the month. In Asha’s monthly Social Media market share column we learn that it is really a Facebook and Twitter world right now. Here is something quirky that we found. 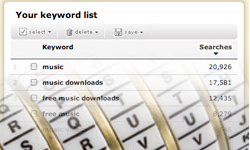 Try typing in “Search Engine” into both Google and Bing and you will notice some weird stuff. When typing “Search Engine” into Google there is no sign of the Google website organically on the first page. Dogpile (who uses that?) and Bing are both in the top 3. DOH! When typing“Search Engine” into Bing we see no mention of Bing on the first page but once again a link to Dogpile is number 1. Hey at least the search engines arent being biased! This was a strategic project. 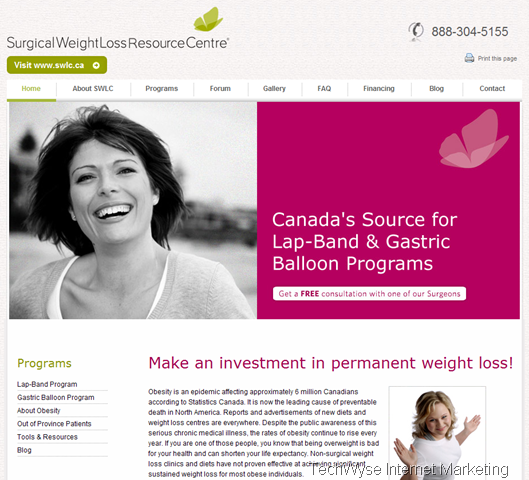 After launching a fantastic corporate website in December branded after the clinic, we did not want to lose any of the attention that the Surgical Weight Loss Centre’s informational website was getting. 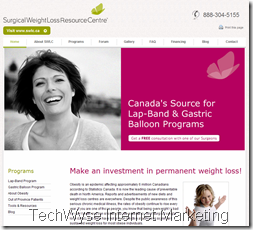 As such we rebranded their informational domain to match the site found at www.swlc.ca. The result is a more than acceptable carry over of the new SWLC online identity and an easy to read informational website on the lapband system. Nice job! 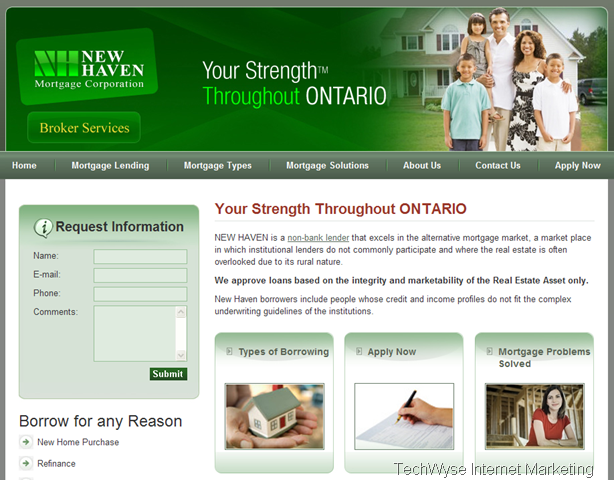 As a leading mortgage broker in Ontario, the New Haven mortgage website was built to match an existing corporate identity package. The goals of this site were to reorganize the previous site with a fresh look that would convert site visitors into leads. The site was an educational process for the client and we are proud to finally get launch this site to the public. Buying a house anyone? Yes DJ, It’s been a year in the making, and now finally the teaming up of two search giants was the news of the month. For sure this won’t help them dethrone Google from the search summit, but the deal gives them a real opportunity to compete at least. 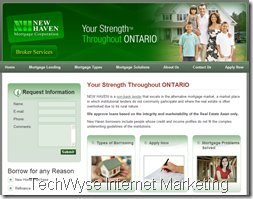 Impressively designed web sites! Fitting to the businesses engaged by them. Good work and way to go.